What’s up with all the yelling? As a kid, I went through a phase where I thought martial arts was the best. I was introduced to Jackie Chan and Bruce Lee very early on and they became my childhood heroes. Especially Jackie Chan. I remember waking up super early and sneaking past my parents bedroom so I could catch every one of the Jackie Chan Adventures episodes. I used to step around all of the creaky spots on the floor, pretending I was some character on a mission to help Jackie Chan. Those were the good all days… Okay, so I might still pretend to be his sidekick in a movie at times, but everyone has dreams! Anyways, watching those kung fu movies always made me laugh whenever I saw a character shout. At the time, I believed that it was done intentionally to over-dramatise the intensity of a battle. I didn’t realise that the shouting had a much bigger meaning until I joined kung fu many years later. So I’m at my first kung fu class and Sifu Dan is explaining to me how important it is to breathe correctly and getting me to yell at certain parts of the drill. I’m a very shy and quiet person, so yelling in that way to draw attention to myself made me feel a little more than a little self-conscious. For those of you wondering, that yell that is expelled at pivotal moments in combat is called Kiai. It is an expulsion of air from your body that is released from the depth of your stomach and not from your chest or throat and there is a number of reasons for martial artists to use kiai. Breathing correctly is very important for any kind of workout or physical activity. We all take breathing for granted and often neglect it’s importance to our overall health. Even when you aren’t doing anything, breathing has an impact on your body. You should have a steady breathing pattern and practice good breathing techniques even when you are just sitting on your couch. On top of a number of other benefits, breathing regulates the amount of oxygen that goes into your blood stream, and when you don’t have enough, you might find yourself weakening and losing energy sooner. As a beginner in kung fu, the concept of proper breathing is introduced early and students are trained to regulate their breathing through practising kiai. Not only does it act as a reminder to breathe, it also acts as a monitor that helps you understand when you should inhale and when to exhale. I am definitely guilty of forgetting that one essential task in life when I am exerting too much force, so practising kiai has helped to remind me to keep my breathing steady, even under duress. When you shout, you are drawing attention to yourself, showing the world that you are a strong individual. You are telling your opponent that you have confidence in yourself and in your ability. Do not be afraid to express yourself. It doesn’t matter what kind of sound you emit, as long as it conveys the confidence and strength of your actions. For someone who’s shy, it is a great way to learn to overcome barriers and to become a more assured individual. Kiai can be seen as a sort of battle cry. When you shout during the execution of a movement, you are letting your opponent and those around you know your intent. In a sense, you are showing your fighting spirit. It is a declaration that reveals your desire to act in a certain way depending on the circumstances. Your intent might also serve to act as a form of intimidation or self-reassurance. Shouting can be used as a way to catch your opponent off-guard. If they are not expecting it, even a small shout could distract your opponent well-enough for you to launch a surprise attack. When martial artists yell, they are simultaneously tensing their bodies. Give it a try. Put your hand on your stomach and release a shout. Feel how your stomach muscles tense. This allows your body to absorb hits better to avoid a more serious injury. This happens because when you shout, your body is contracting the diaphragm and chest, strengthening your core and tightening the abdominal muscles. Not everyone believes or understands the idea of Qi, but there are many who believe that shouting expels negative energy from the body. Sort of like a Ying and Yang kind of effect where you inhale the good and exhale the bad. Kiai helps you to harmonise your Qi energy. 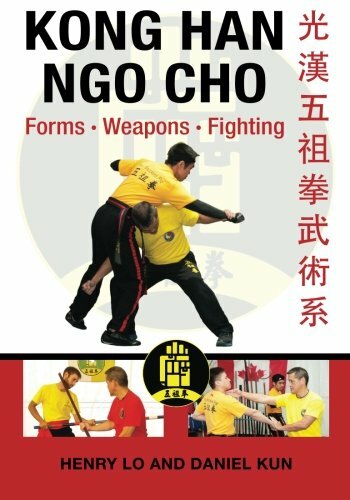 Qi is also considered one’s internal strength which helps martial artists to harness their energy flow and direct it to their techniques. This helps martial artists to perform quicker and have stronger attacks.